Spring weather really is just around the corner, even though it may not look or feel like it outside. 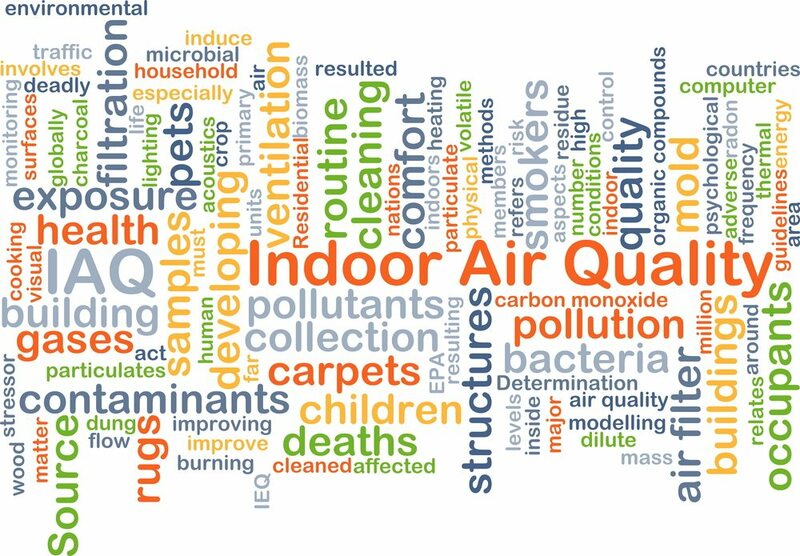 Given that much of our time is still spent indoors, don’t neglect your indoor air quality while you wait for the warm air to return. With the cold season upon us, your days outdoors are likely numbered. The potential for cabin fever aside, the amount of time you’re about to spend indoors may give you pause regarding your indoor air quality. No matter how clean you keep your home day to day, pollutants can reside inside thanks to chemicals, appliances, products, outdoor exposure, pets, and more. You may not be able to see these invisible pollutants, or sometimes even smell them, but the air you breathe inside may not be as pure as you’d prefer. 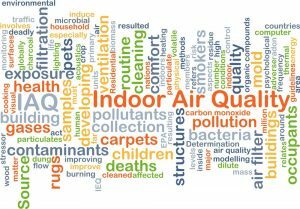 The worse your indoor air is, the higher the risk it can be to you, your family, and your guests. Short-term exposure can lead to headaches, allergies, asthma, cold-like symptoms, and eye, nose, and throat irritation, to name a few. If the pollutants are hazardous, such as in the case of wood fuel combustion, molds, and chemical fumes, long-term exposure can lead to serious health problems, including cancer, heart problems, and respiratory diseases. 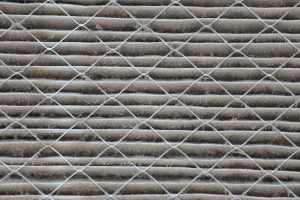 Your furnace filter helps to trap dust, debris, pet hair, and other air pollutants so that they don’t re-circulate back through your home. However, if you don’t change your furnace filter once a month, the filter can’t keep the bad stuff from floating around in your home. If you or a family member is already allergy prone, regular furnace filter changing might not be enough to combat against mold, dander, and dust mites. For a simple solution, use a high efficiency particulate air (HEPA) purifier to help rid your indoor space of microscopic particles that could affect you or your family’s health. Your indoor air quality can only be at its best with proper ventilation. Hire a skilled HVAC professional to audit your home and ensure the proper amount of air exchanges are occurring per hour. The expert can assess your home and HVAC system and make recommendations for improvements based on the findings. Remove toxic products out of the living area and into a well-ventilated storage facility, such as garage or shed. This includes paint cans, spray paint, pesticides, and noxious cleansers. If these items are no longer needed or in use, be sure to dispose of them according to manufacturer specifications. Even if wearing shoes is not an option in your home, carpeting and rugs can act like a magnet for dirt, bacteria, odors, and other pollutants. 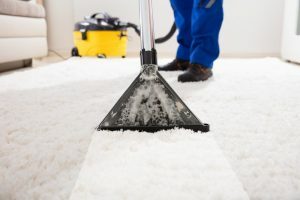 Schedule routine carpet and rug cleanings at least twice a year, or more often for high traffic areas or if you have pets. Professionals are available to provide this important service, or you can rent or buy a carpet cleaner to use as needed. Mold can grow on just about any organic surface where moisture and oxygen are readily available. There are all kinds of mold strains that exist, with some being no big deal to others being quite toxic. Either way, it’s best to prevent mold from growing at all, let alone over long periods of time, which can lead to adverse health effects. Stay on top of the spots by conducting a routine inspection plan to check damp surfaces and high moisture areas, as well as tend to spotty or fuzzy stains on walls, floors, and carpeting. To effectively prevent mold from growing, consider consulting one of our mold remediation specialists to custom tailor a plan to fit your home’s needs. Severity and risks aside, making your home as comfortable and safe as can be is likely top priority. With a little bit of effort using the tips provided, you can breathe easy inside a healthier home. There are jobs that you simply aren’t prepared to do. Whether you’re short on time, lacking the right equipment, or unsure of the correct techniques, cleanup can be a burdensome task. When you need professional help you can trust, the DRS team of certified technicians save you from your cleanup calamity. Commercial or residential – large or small, DRS is available to provide a swift and thorough cleanup so you can get back to business and your daily routine. Our cleanup services include Air Ducts & HVAC, Biohazard/Hazmat, Power Washing, Sewage, Vandalism & Graffiti, Office Cleaning, and Clean Out for Hoarders.